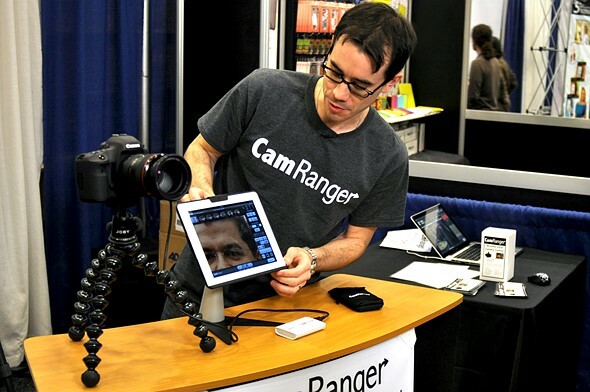 CamRanger has shared an announcement on its website teasing the upcoming CamRanger 2 system. In addition to faster connections and improved range, CamRanger 2 will offer full support for select Sony and Fujifilm camera systems. CamRanger 2 is said to be five times faster than previous versions with 802.11ac WiFi and roughly two times faster when using 802.11n WiFi. CamRanger 2 will also have an effective usage range more than three times its current model. More significantly, the CamRanger 2 system will support select Sony and Fujifilm cameras. 'We always said we would not offer support until we could do it in a way that works for professionals,' says CamRanger on its announcement page. 'Our new design removes previous limitations, limitations other wireless tethering devices suffer from.' It remains unknown what cameras will and won't be supported. CamRanger has also updated the accompanying apps for the impending CamRanger 2, noting it's taken inspiration from the CamRanger Mini apps and customer feedback to make an app that both looks better and includes new features. Unfortunately, CamRanger doesn't give a hard number for a release date. The only thing we know is the CamRanger 2 system will launch sometime in 2019. If you want to keep up with the latest updates, head over to CamRanger's website and sign up for its newsletter.